As The Beatles once sang about wheelchair communities, “We get by with a little help from our friends.” Ok. So maybe they weren’t talking about support groups, but The Fab Four were tapping into one of the most basic desires of humanity. We all want to feel loved and supported. We want to be part of a community that understands our needs and helps us navigate the hard times in life. However, if you want help dealing with these conflicting emotions, one of the best things you can do is join a wheelchair community or support group. 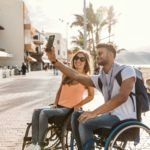 1 What Is A Wheelchair Community? What Is A Wheelchair Community? Wheelchair communities or support groups are made up of individuals who are going through many of the same experiences as you. Some are new to spinal cord injury. Maybe they have been in a car accident or sports injury. Other people have been in wheelchairs from birth. Individuals with spina bifida are born with an injury to their spinal cord. Just knowing you aren’t alone can be beneficial. Through the support group, you can learn to deal with feelings, be inspired to try new wheelchair activities, find out about medical innovations, and make new friends. 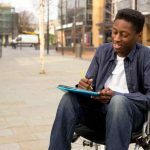 However, it can be hard to know where to start when looking for a wheelchair community that’s right for you. The Internet is the fastest way to find help. Try typing in search terms such as “wheelchair communities near me,” “support groups near me,” or “spinal cord injury support groups.” If you live in a large city, it is very likely several results will come up. For people who live in rural areas, or have limited transportation, virtual support groups are an option. There are numerous online forums and chat groups. Facebook also has a lot of groups. I’ve seen people post that their Facebook support group is a major part of their life. Visit the website of the European Spinal Cord Injury Federation, which has a list of national organizations you can contact. Find your country on the list, then use the contact information to ask about support groups and activities in your area. Talk to your doctor. Hospitals and clinics often set up their own local support groups for patients. These groups are likely easy for you to access and may be led by a nurse or social worker you already know. But even if your clinic doesn’t have their own group, your doctor will most likely know of some other groups in the area. 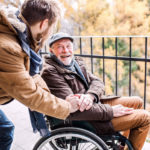 Just like finding any new group of friends, it may take a while to find a wheelchair community that fits your personality. Don’t get discouraged, just keep trying out different support groups. There are many different groups out there, and eventually you’ll find the right place for you. 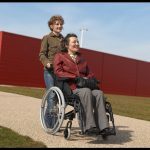 This post is based on information found in the article, Finding A Wheelchair Community Near You, by Roll Rev.